Also unclear is how and why the shotgun failed to discharge when Hunnicutt pulled the trigger. In order to prove its case for attempted murder, the State will have to demonstrate that when Hunnicutt loaded ammunition into the shotgun, he thought it reasonably likely that the weapon would discharge when he pulled the trigger. The State could also prove its case by demonstrating that Hunnicutt’s actions were so reckless that he should have known that loading the shotgun, pointing it at the man, and pulling the trigger would cause the man’s death. Not every gun-death case involves a pulled trigger. Recently the U.S. Supreme Court announced it would review a case in which a bank robber fleeing from police broke into a woman’s home in Gastonia North Carolina. The government argued in federal court that the man frightened the woman so greatly that it caused her to have a heart attack which ultimately resulted in her death. As a result, the man received a much longer sentence. Whether the sentenced stands depends on how the Supreme Court views a so-called “forced movement” provision in federal law. Hunnicutt may be lucky he didn’t scare his victim to death; if he had, he might sitting in jail charged with murder. Hunnicutt’s case is pending in state court in South Carolina. His actions, as alleged, would also serve as textbook examples of assault, battery, false imprisonment, and assault with a deadly weapon. These actions could serve as the basis for criminal charges as well as civil claims brought by the victim against Hunnicutt. An officer in Great Britain was recently awarded as much as $100,000 after a man pointed a shotgun at him. The officer testified that he experienced nightmares and flashbacks after the incident and began drinking heavily to help him sleep. The court awarded the compensation after concluding the incident caused him to develop post-traumatic stress syndrome. If you have been accused of a crime or if you are the victim of what you believe was intentional or negligent criminal conduct, please contact me to set up an appointment today. We can review options for your defense or we can help you prepare a case against the person or persons who injured you. 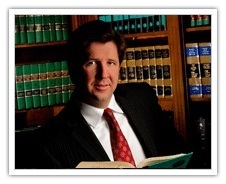 Why Should I Hire A North Carolina Criminal Defense Lawyer?